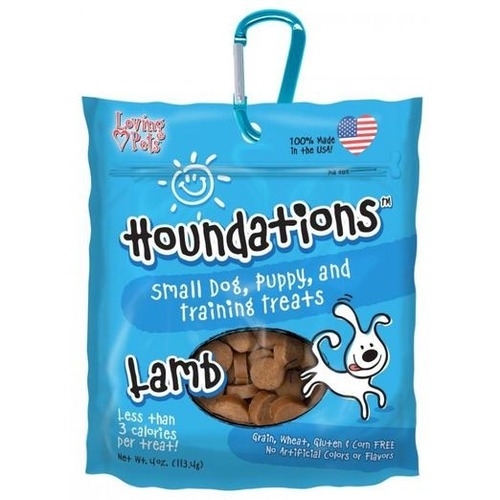 Houndations Bite-size Soft-Chew Lamb Dog Treats Made in the USA, these awesome tasting treats are the PERFECT training reward. 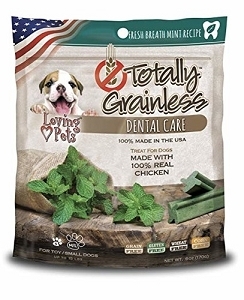 Houndations™ Bite-size Soft-Chew Lamb Dog Treats 100% Made in the USA, these awesome tasting treats are the PERFECT training reward. They are also great for small dogs an puppies. 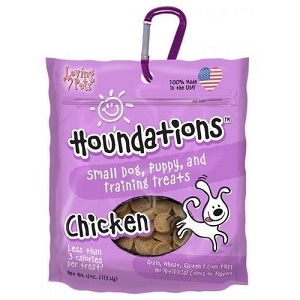 Made with 100% all-natural ingredients, Houndations contains no grain, wheat, gluten or corn. 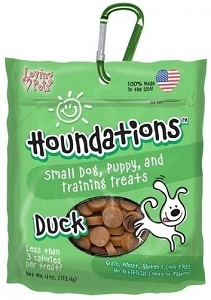 EVERY BAG comes with a FREE CARABINER to carry your treats for hands-free training, hiking or playing. Lamb, Lamb Meal, Potato Flour, Vegetable Glycerin, Maple Syrup, Potato Starch, Gelatin, Lecithin, Soy Shortening, Preserved with Citric Acid & Potassium Sorbate.